Home > CMS > Wordpress > WP Plugins > 5 Amazing WordPress Plugins You must check out! 5 Amazing WordPress Plugins You must check out! One of the best things about WordPress is that using plugins, you can instantly add new features, whatever and whenever you want. This makes scaling your website super easy and with these plugins, you can add any custom functionality with the power to enable or disable them at any time. Due to this fact, WordPress plugins are becoming more and more popular every day. Unlike the old days, now there are tons of premium plugins too which supersede free plugins in many ways. Here are 5 great plugins you cannot miss! 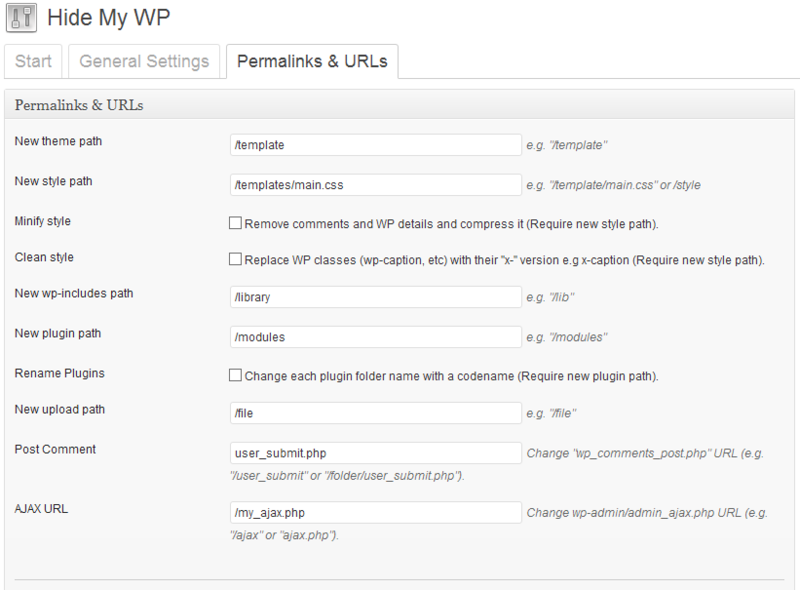 It is very less likely that you are a regular WordPress user and you have not header of this great plugin. 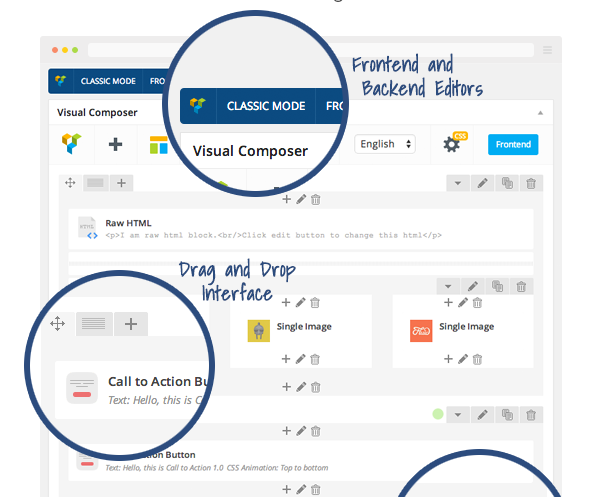 The great quality of Visual Composer plugin is that it makes it very easy to create any type of page with its graphical user interface. There is no need to write any line of code or manually place shortcodes. All you need to do is to drag and drop layout and media elements and it will automatically fit everything at its place. With over 45 elements to choose from including image elements, galleries, headings, separators, video elements, text blocks and virtually anything you can think of, it will make your experience of creating pages painless and much easier. Another unique feature is the front-end editor which shows the actual front-end of the page (instead of the WordPress page editor) and you can even edit from there. Cool? Yes it is. It is definitely worth integrating in your themes to boost the speed and experience of creating pages. Sliders have become a must-have part of every website now. It is one of the most popular type of plugin you see today. There are many of them out there, each one with its own characteristics. 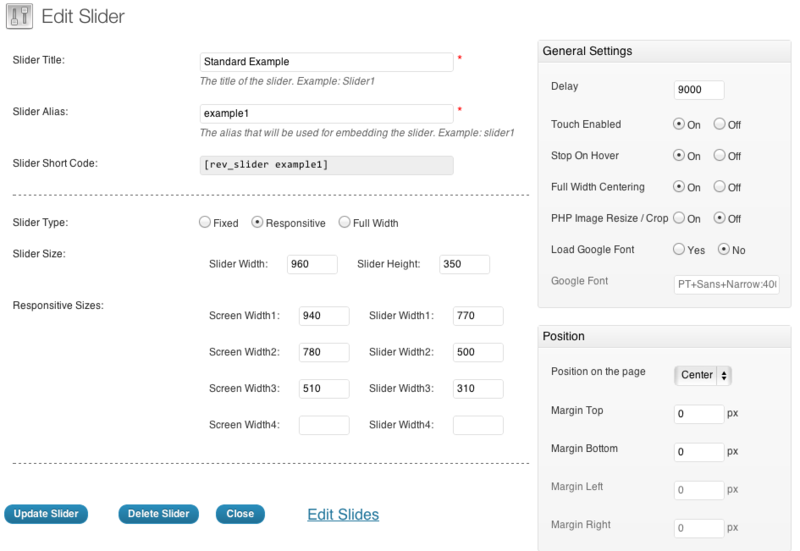 Slider Revolution is considered one of the, if not the, best slider plugin for WordPress with countless options for customization. There are layers, timings for them, advanced position management, background images, looping options and many styles to choose from. Even you can add YouTube videos as slides with great ease. These are the reasons why many premium themes include Slider Revolution in their own theme package. If you buy it later on, installation is very easy and pretty straight forward. Slider can be added on any page or post just by clicking the icon for revolution slider and adding the slider you want to add (which you have already created). Check the demo and get the plugin here. This is a unique and new WordPress plugin that has some very cool features. Recently, a large number of WordPress plugins and themes have been found to be vulnerable to various types of attack, so the purpose of this plugin is to hide the fact that you are using WordPress, thus minimizing the possibility of an attack. Hide My WP does this very cleverly by hiding many things including wp-login.php page and replacing it with something like wp-login.php?hide_my_wp=123. This precisely makes it very hard for an attacker to find the fact that you are using WordPress and even if he does, he cannot find the login page to attack. Other features include hiding template directory URL and customizing them by replacing the URL with something like www.example.com/template instead of www.example.com/wp-content/themes/template. There are a lot of great, unique features like hiding metadata from your pages and changing all the default URLs so that they are not predictable anymore. In short, this is a nice plugin and seems to be promising in terms of the features and making your WordPress website more secure. You can check the plugin at this link. 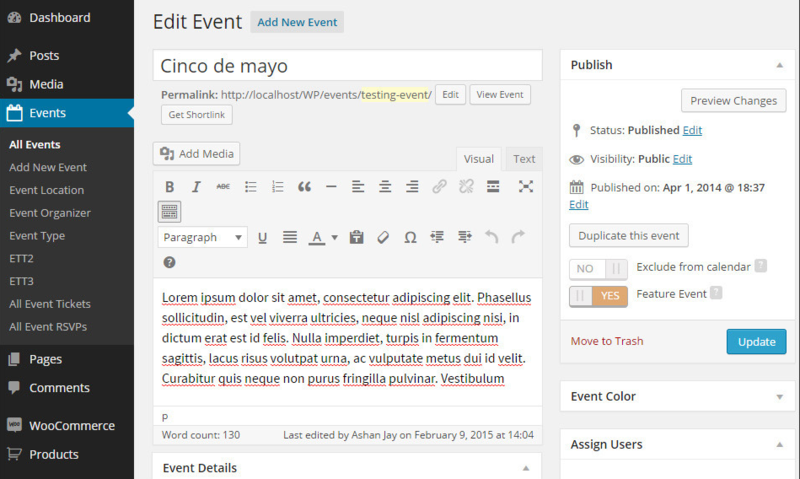 There are tons of event management WordPress plugins and EventOn is just another one. But it has more features than any other events plugin you can find out there. You can easily sort the events, colormark them and it comes with a great, responsive layout too. User experience is great making it easy to use it. You can have events in many languages. The events are managed as EventCard data fields and an event can be put in many ways including having GoogleMaps, featured images and custom additional fields. Sorting options include country-based sorting and city-based sorting making it easy to find what you are looking for. It really seems to be the best events plugin out there. 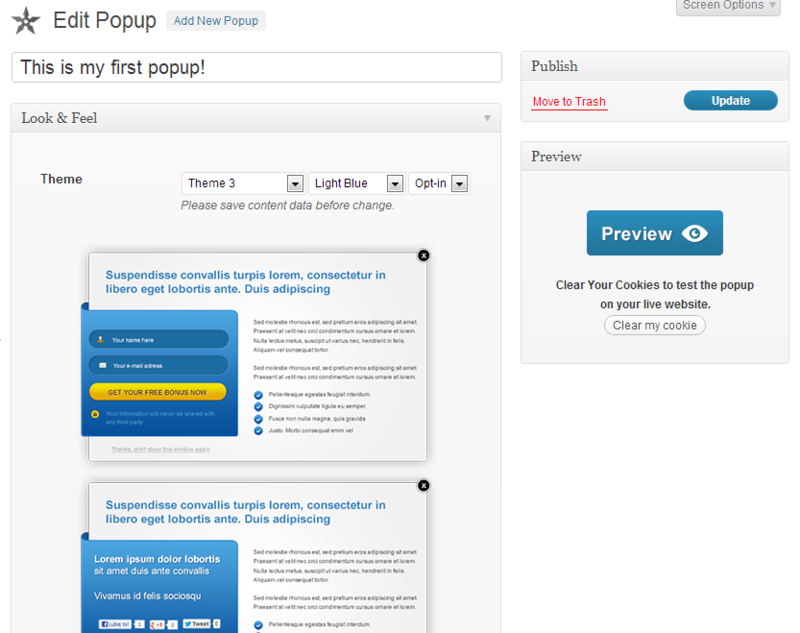 Ninja Popups is a highly customizable and professional popups plugins for WordPress. There are options for almost anything you can think of including showing popups after specific time or hiding after some page scrolling. It works great with all the major email marketing solutions including GetResponse, MailChimp, Aweber, CampainMonitor and iContact. Ninja Popups include the option for many languages. There are predefined XML layout templates which gives a number of layout options and can be customized too. Google Analytics Event tracking integration is also part of the plugin. Ninja Popups has many great features you might want in a popups plugin and seem to one of the best if you are looking for a premium solution. I am a freelance Web Developer and Graphic Designer with over 4 years of experience. I have completed over 300 projects working with clients from around the world. Learning new trends and writing code that portraits simplicity and power is what I enjoy!